Despite originally being from Minsk in Russia, her young age and the difficulty of the entrance exams, UKSC student Veronika was offered a place at one of the UK’s most prestigious girls’ schools: Cheltenham Ladies’ College. 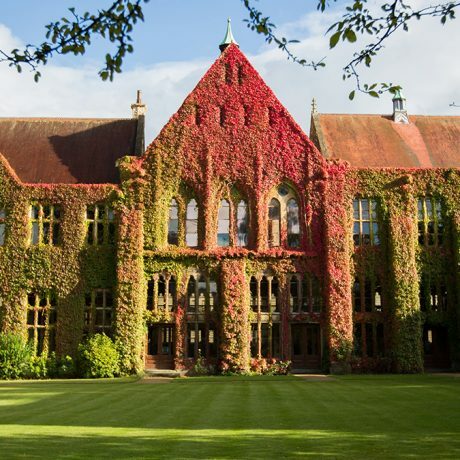 In September UKSC student Veronika began studying the International Baccalaureate (IB) at Cheltenham Ladies’ College, one of the most respected girls’ boarding schools in the country having successfully passed the demanding entrance exams six months earlier. Veronika started the IB at the age of 15, making her younger than her English classmates. A lot of other UK boarding schools refused to consider Veronika’s application due to her young age, but being a very precocious and determined young lady, and with the help of UK Study Centre, she managed to achieve her goal. Being admitted to UK top boarding schools without prior education in the UK is only possible for the most prepared and determined students. Students applying to Sixth form are required by all schools to sit three to four exams in different subjects, as well as to take an additional English language test. They are expected to have advanced knowledge of academic subjects in English. The fact that academic programmes in other countries differ significantly from those in the UK is not considered, and students for whom English is not their first language are not given any extra time during the examinations. To prepare Veronika for her entrance exams we sent her all the necessary textbooks and organised Skype lessons with our experienced tutors. Veronika was very happy with the tutoring she received, and said that while Mathematics was not much of an issue for her, the Physics and Chemistry programmes were very different from what she had been learning at her school in Belarus. It is worth mentioning that in Minsk Veronika did not study at a special International School. Her Belarussian gymnasium education, as well as the help of qualified tutors, was enough for her to be able to pass the Cheltenham entrance tests. Meanwhile, she did improve her English by attending summer schools in the UK and in the USA every year. Following the example of her brother (who studies at the London School of Economics (LSE)), Veronika is setting the bar high – she is planning to apply to Oxford and Cambridge as well as Ivy League universities. We wish Veronika great success with her IB programme and look forward to helping her with her applications to university.